As far as strategy RPGs are concerned, it can be difficult to make a game of the genre compelling. It can be a mixture of difficulty, mechanics, and storytelling that makes it hard to get that balance. 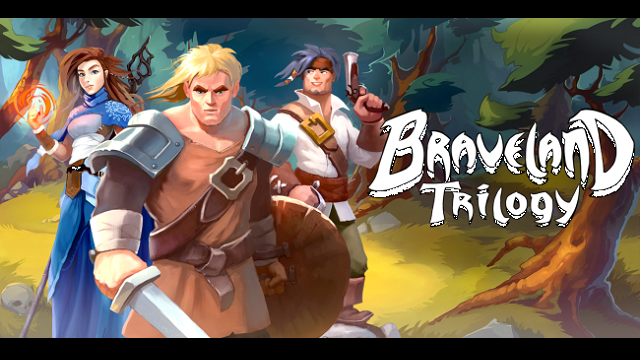 As such, Braveland Trilogy comes in with three entire games: Braveland, Braveland Wizard, and Braveland Pirate. Developed by Tortuga Team, each game offers new allies, mechanics, and entirely new stories. However, can all three games in this one package be all that interesting? Let’s find out. Each game features a different protagonist entirely independent from the last. The first features a brave warrior whose village was raided, the second a mage who seeks to complete her last trial, and the last a pirate who has set out for adventure. Throughout their adventures, they gain new allies and powers to help aid them. With a large amount of foes in the way, it’s going to take wit, strength, and guile to overcome the strongest of enemies. As far as tone goes, the story is actually lighthearted. Nothing ever gets too dire for the protagonists, with plenty of exaggeration to help lighten the mood all the more. That said, the actual plot of each game is exceptionally basic, due to the lack of any real struggle. Braveland Pirate deviates from this somewhat, as it focused more on world-building due to being a pirate. In the end, none of these stories are terrible, merely rudimentary to the point that they offer no real engagement. Unfortunately, this carries over to the gameplay. Each game plays out like any basic strategy game on a grid. You have various units to control who each have their own initiative on the turn count, most with a unique ability they can perform. Similar to Advance Wars, each unit is basically a group of units that act as one. As such, the larger the unit, the more damage it can inflict. 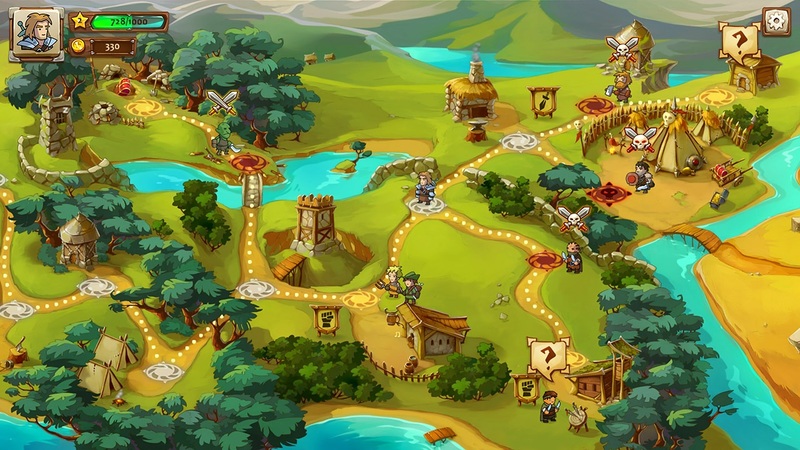 During your travels on the overworld, you can recruit more allies to strengthen a unit. However, each unit has a unique headcount. For example, peasants individually are weaker than swordsmen individually are. However, you gain far more peasants compared to swordsmen, so peasants get weaker more steadily while swordsmen get weaker more sporadically. 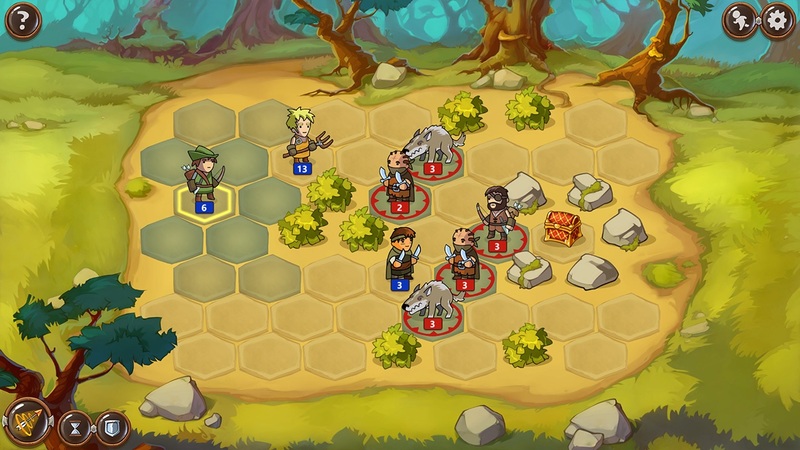 Many units also have a unique ability they can perform during battle. This can range from healing other allies to blinding a ranged opponent so they will miss their next attack. Once used, abilities are under a cooldown before being available once more. The issue with these is that there is no risk involved while using them. For example, an ability that can stun an enemy is guaranteed to work, no matter the circumstance. This makes battles exceptionally easy, especially when you start getting enough gold to reliably recruit a lot of allies. Throughout my playthroughs, I was able to loop particular strategies with exceptional ease, with not much deviation from one battle to the next. In order to help deepen the gameplay, your character gains experience upon completing each battle. Upon a level up, your max recruitment for each unique unit increases as well some amount of customization to increase your army. Each game handles this differently, as Braveland merely offers stat upgrades whereas the other two has actual skill trees. You can also find and purchase various equipment that increases stats as well as occasionally offer a bonus for a particular unit. The only issue here is that it is usually better to equip the latest piece of gear since normally it offers a better overall bonus. The customization also is bare-bones, in that it will rarely change how you approach the game. As such, this merely leaves the game feeling all the more bare. Each game handles the main protagonist’s role in battle differently from the other. In Braveland and Braveland Wizard, the protagonist is not an actual unit. Instead, they perform special abilities using resources in order to aid their allies. This can range from simply damaging enemies to increasing defenses or increasing a unit’s speed so they can go farther on a turn. In the third game, the protagonist is an actual unit, where he can use special abilities as long as he can act and is not defeated. The way to gain the resource needed to do these abilities is different in each title. 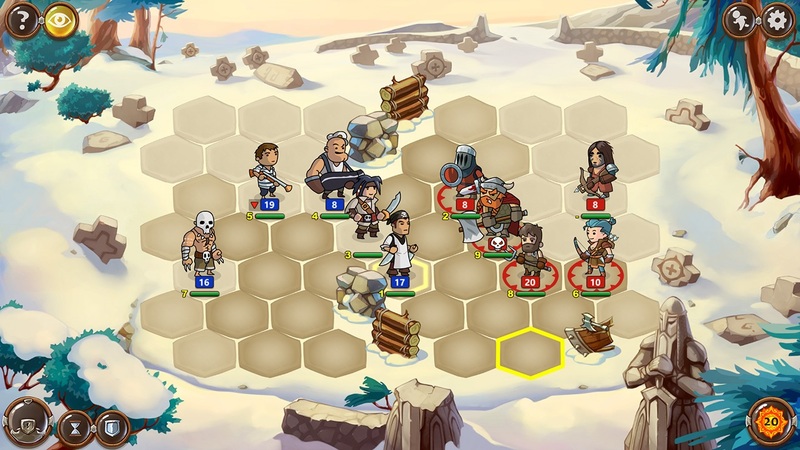 In the first game, your units have to take damage. The second game has the resource at max at the start of battle, where after usage it will gradually restore over time. Meanwhile, in the third game a unit has to attack. Personally, I rarely bothered to use any of these abilities other than to inflict damage or increase a unit’s speed. Due to how the game functions, inflicting damage effectively decreases the amount of damage taken for everyone and speeds up battles. Since these games were already repetitive to begin with, it helped serve to keep everything quick and simple. It doesn’t help that due to how short these battles can be, it can be difficult to use the more expensive abilities at the most opportune moment. Throughout my playthroughs, I only used under half of these skills at any given time. In terms of presentation, each game is actually okay in this regard. There aren’t many individual pieces of music, but each overworld tune is pretty nice in their own right. The art style, while not the best, is fine enough for what it represents: a nice lighthearted series of adventures that is not meant to be taken all that seriously to begin with. There were no technical issues encountered while I played on my Switch as well. Overall, the Braveland Trilogy is very middling as far as quality is concerned. Each game is not bad by any stretch of the imagination, just not compelling. 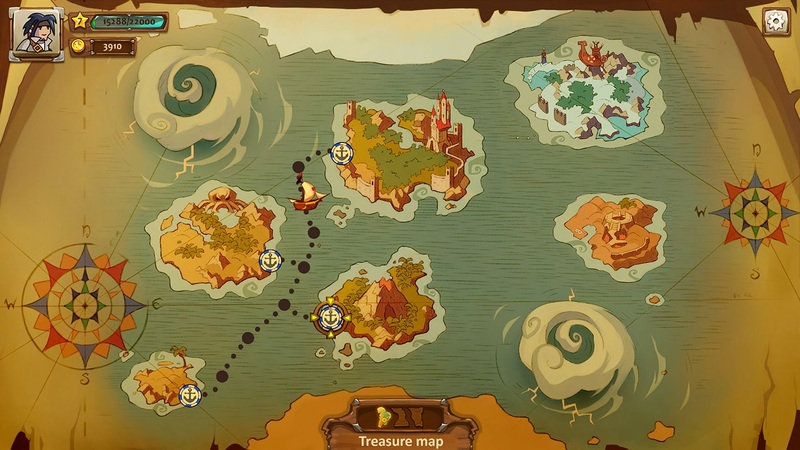 For fans of the genre, each game can serve as an okay distraction while on the go, where each adventure ranges from three to five hours of total playtime. There is also the option to duel with friends, but unfortunately I was unable to test this feature out. However, for $14.99, it’s perhaps wise to wait for it to go on sale before purchasing. Best of luck to Tortuga Team in any future endeavors, as they can easily improve on what is established here. Previous Post:(18+) FAKKU Opens Pre-Orders for My Little Sister Can’t Possibly Have A Hemorrhoid? !